Thursday, Dec. 27, 10:40 a.m. EST: The parents of Trayvon Martin and George Zimmerman cope with aftermath of killing: In the 10 months since her son Trayvon was killed, Sybrina Fulton has become a national activist who mostly stays in hotels as she travels from one engagement to another to speak about self-defense laws, the Miami Herald writes. Meanwhile, the mother of George Zimmerman, the former neighborhood-watch leader who has been charged with second-degree murder in the death of the unarmed teenager, has been in hiding. Wednesday, Dec. 26, 10:39 a.m. EST: Security firm sues Zimmerman and his attorneys for fees: The head of a security company charges in a lawsuit that defense attorney Mark O'Mara has failed to pay a balance owed after he hired the firm to provide a two-man, 24-hour security detail for George Zimmerman. Court records show that Zimmerman's legal team paid $40,000 for security services, but Chris Rumbaugh, head of the firm, says that they stopped paying when the former neighborhood-watch leader's defense fund started to run out, according to WFTV-9. 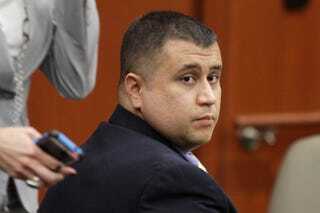 Zimmerman has been charged with second-degree murder in the February shooting death of Trayvon Martin, who was unarmed. The shooting ignited cries of injustice after Zimmerman was initially released without being charged under Florida's "Stand your ground" laws.